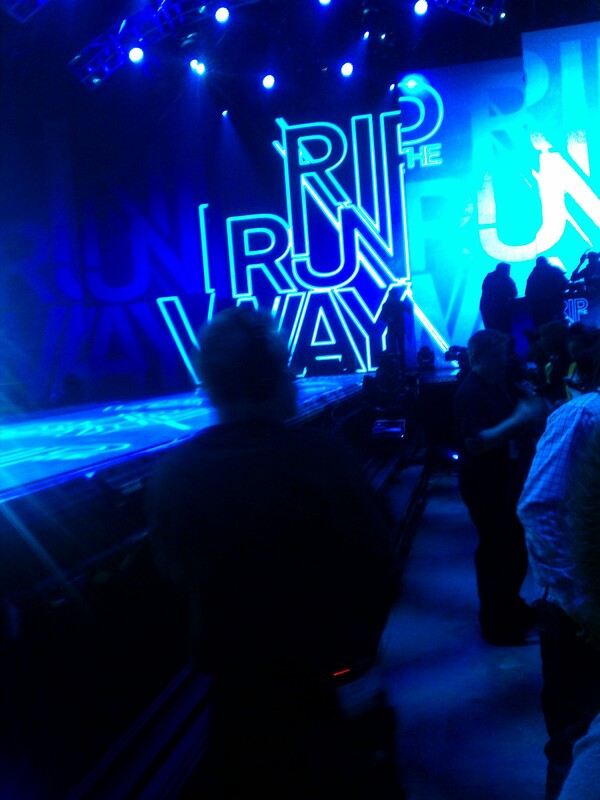 I attended the filming of the Rip the runway today in NYC. D from Swarey Designs and I arrived at in the rain at 9:00am with comfy Aldo sneakers and a heavy coat totally ignoring the suggested dress code. I thought I would still look cute but I knew what to expect at filmings. Long lines, long waiting and lots of shuffling around.We were in a holding room with excited young crowd dressed quite lovely in painful heels, long gowns, shorts (yes shorts in February) and spiked jackets. My friend and I thought the music was too loud but an impromptu dance contest got us in a better mood. 3 hours later we were herded to the main stage and scored front row spots. More waiting and waiting…..an audience modeling contest then waiting…. Oh a lesson in runway walking from Dexter Ivy runway coach and only 45 minutes late a model comes on stage! Yes! Rick Ross appears with Meek Mills and we are in a frenzy!!! Then….you got it more waiting, where is Kelly Rowland? We are blessed to meet this years host Kelly Rowland and Boris Kodjoe two beautiful celebs who were extremely nice. I could not get over Kelly Rowland and her divine looks and warm persona, one of my fav singers by the way. The show quickly moved on with an appearance by Jaden Smith who debuted his clothing line Msfts, a plethora of black clothing with splashes of leather and zippered accents. There was a wonderful showing of Kojoe’s suit collection Alfa and a plus size model showcase. 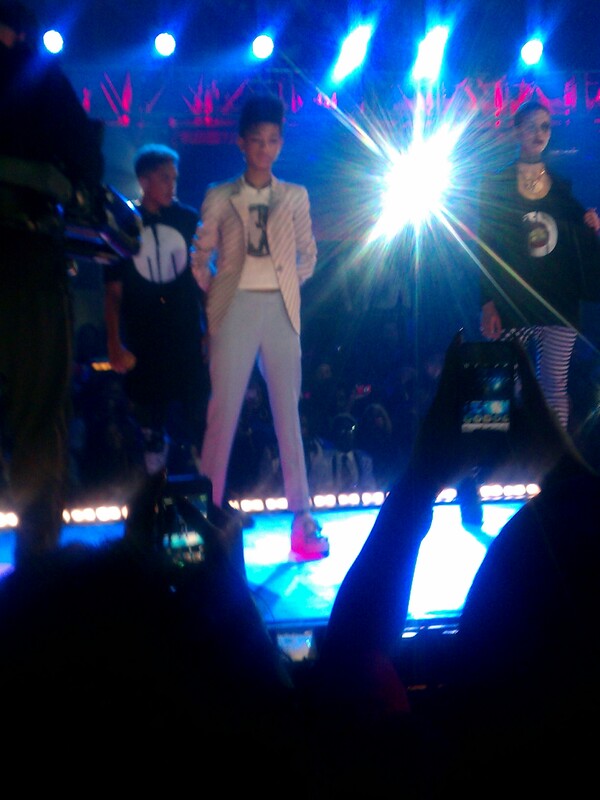 My fav was the Haute couture collections opened by We the Urban creator Willie Greene. Over all I had a blast and fingers crossed I get to attend next years show! Tune in March 20th 10pm est on BET. This entry was posted in Celebrity, Events, style and tagged Alfa, bet, Black Entertainment Television, Boris Kodjoe, Dexter Ivy, jaden smith, Kelly Rowland, Luke James, Meek Mill, Msfts, Rick Ross, Rip the Runway, Rip the runway 2013, Trinidad James, Willie Greene, willow smith. Bookmark the permalink.